Used FIAT for Sale at OffLeaseOnly | Save Thousands on Used Fiat for Sale Today! FIND YOUR NEXT USED FIAT NOW! Thousands of Used Cars, THOUSANDS below retail! DRIVE YOUR OFFLEASEONLY USED FIAT WITH PASSION! Hundreds of Thousands of Happy Customers encourage YOU to Choose OffLeaseOnly! No Hidden Fees, No Negotiating and Home Delivery Available! Looking for a fun, sophisticated and sporty used Fiat with that signature Italian flair? Check out the gigantic OffLeaseOnly used car inventory, where you will save thousands buying a quality, used Fiat for sale. Log on to OffLeaseOnly and shop for your next used car from the comfort of your home computer. Search Off Lease Only’s vast used car inventory for a used Fiat 500, 500c, 500e, 500L or ABARTH, then choose your next ride with the click of a mouse. You won't find a better deal anywhere on this adorable Italian used car! Compare OffLeaseOnly used car prices to any other used car dealer in the market and see how much money you will save. OffLeaseOnly never charges hidden fees and never haggles over price. The price on the used car is the price you pay. Check out our competition and you will see that you can't find a better deal on a used Fiat anywhere! Our unique used car buying experience will save you time and money and eliminate the stress and uncertainty of buying a used car. Browse thousands of used cars from the comfort of your home computer and find out why hundreds of thousands of happy customers tell their friends, family and co-workers that OffLeaseOnly is the only place to buy a used car. Drive home the used Fiat of your dreams for thousands less than you ever imagined possible. Remember, shopping for your used Fiat is easy and you can do it from your personal computer at home. Our online used car inventory is updated four times daily and every car comes with a complimentary CARFAX report. Each used car in our website has different pictures for you to look at so you can see exactly what you are buying! Shopping for a used car has never been so hassle or haggle free. Find out why OffLeaseOnly is the No. 1 used car destination in the nation. Why buy new when you can buy a used car from OffLeaseOnly and save thousands? I SAVED $3,000 ON MY OFFLEASEONLY USED FIAT 500! Alba just purchased a used Fiat 500 for a lot less than any other used car dealer in the Country! Alba listens to the radio station Power 96 and could not be happier that all of the personalities promote OffLeaseOnly for the best deals on quality used Fiat! She says she will recommend everyone after saving about $3,000 on her OffLeaseOnly used Fiat buying experience! Why buy new when you can save thousands at OffLeaseOnly on your used Fiat! It's super cute, economical and great on gas mileage! She is so happy with the radio personalities at power 96.5 in Miami for spreading the word about the best place to buy your used Fiat! Make sure to log on and shop the large used car selection of Off Lease Fiat available at OffLeaseOnly! FLY IN TO SAVE THOUSANDS ON YOUR USED FIAT AT OFFLEASEONLY! Are you in the market for a used Fiat, but don't want to pay full price? Your wait is over! Do like every other wise internet used car shopper and compare used car prices at OffLeaseOnly with every other used car dealer in the Country! OffLeaseOnly truly offers the lowest used car prices of used Fiat models and customers fly in to take advantage of the savings that only Off Lease Only offers. It pays to fly in to Palm Beach, Fort Lauderdale or Miami International Airports and we will make it easy on you and pick you up from the airport. Just make sure to watch the video and arrange pick up with your sales person. It's never been a better time to get into the used Fiat you've always wanted! Log onto OffLeaseOnly now and shop their massive selection of thousands of quality used cars for sale! At OffLeaseOnly, prices aren't negotiable and are clearly stated online and on every used car in our car lots. OffLeaseOnly never charges hidden fees. Buyers will never encounter any hidden fees and will avoid the stress of negotiating. Owner Mark Fischer started OffLeaseOnly with his life savings, starting with just two cars. He has since grown the company into the largest used car dealer in Florida. The OffLeaseOnly business model is successful for two reasons: Off Lease Only prices its used cars thousands of dollars less than any other used car dealer in the nation and truly cares about each customer's happiness. OffLeaseOnly is proud to have hundreds of thousands of happy customers that refer their friends, family and co-workers here from all around the country. With our out of state business exploding, OffLeaseOnly is truly the Nation's Used Car Destination! And shopping for a used car at OffLeaseOnly is also easy if you live out-of-state. Used car shoppers can buy used cars online without ever having to visit Florida, and have their used vehicles shipped to their doorstep with Off Lease Only Home Delivery and still save money. Other buyers fly in from all over the country to take advantage of the used car pricing and used car selection at OffLeaseOnly dealerships in Miami, Fort Lauderdale, Palm Beach and Orlando. Looking for that perfect OffLeaseOnly Used Fiat? WHY BUY NEW, WHEN YOU CAN BUY A USED CAR FROM OFFLEASEONLY AND SAVE THOUSANDS! Once you shop Off Lease Only you'll see why customers call us their #1 used Fiat dealer! THE BEST USED CAR PRICES AND USED CARS FOR SALE ARE AT OFF LEASE ONLY. "OffLeaseOnly is proud to offer our customers the lowest used car prices on quality used cars for sale. It pays to ship your used car from OffLeaseOnly locations- no matter where you are located in the USA. Don't delay, OffLeaseOnly will help you Save Thousands on Used Cars, Trucks, SUV's and Vans for Sale"
Come and see for yourself why hundreds of thousands of customers only choose to shop for OffLeaseOnly used cars. No hassle. No Hidden Fees. No wasting your time negotiating. Just the absolute best used car value hands down apple for apple that no other used car dealer can offer you. "OffLeaseOnly used cars for sale inventory is IMPRESSIVE & updated multiple times daily. Browse thousands of used cars for sale from the comfort of your computer 24/7 at OffLeaseOnly Used Cars for Sale. You can also get pre-qualified for used car financing in a matter of minutes. Don't Pay More for Used Cars! Travel a little... Save Thousands on Used FIAT! Thousands of Used Cars PRICED Thousands Below Retail! 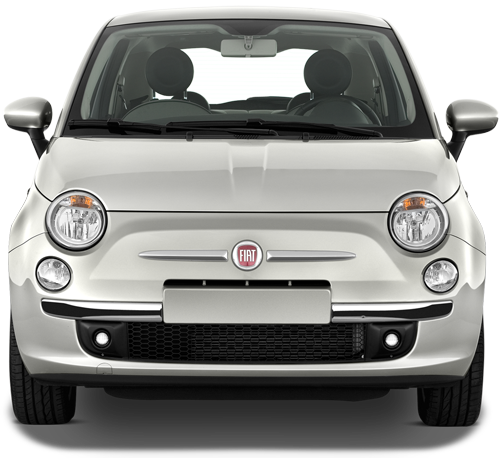 SHOP THE LARGEST SELECTION OF QUALITY OFFLEASEONLY USED FIAT FOR SALE!